Did you know that breast cancer is the most common form of cancer diagnosed in women? As a matter of fact, Breast Cancer.org reports that there were “more than 3.1 million women with a history of breast cancer in the U.S” as of March 2017. 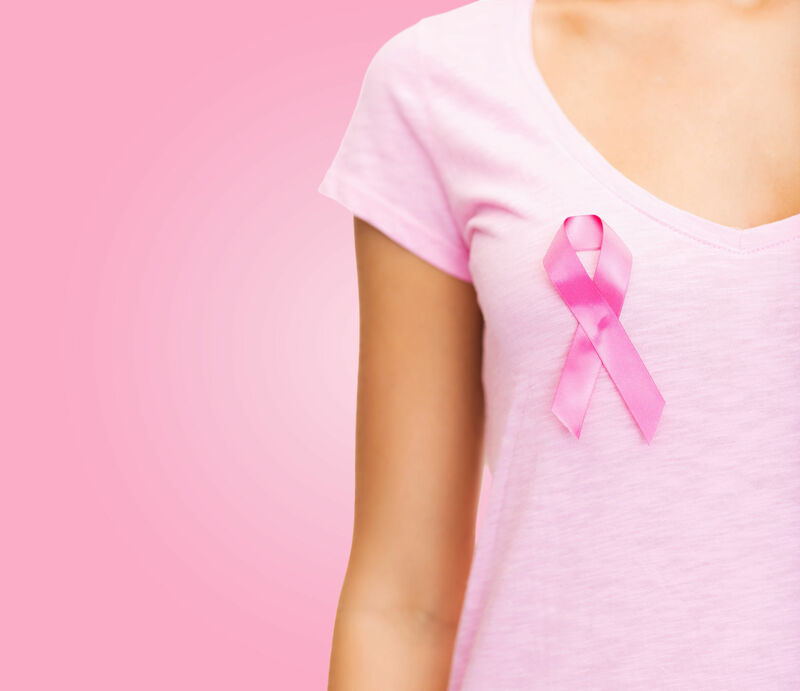 Breast cancer affects about 1 in 8 U.S. women or about 12 percent.”October is Breast Cancer Awareness Month and there are many things that you can do to help fight cancer. Are you looking for ways to join the fight as a healthcare professional? Radiation therapists or radiation oncologists have a critical role in treating breast cancer patients. Treating breast cancer comes in a variety of forms from radiation therapy to surgery to remove the tumor. Find out how you can help fight breast cancer with radiation therapy. Are you ready to help stop cancer? What is Radiation Therapy and How Do You Use it to Treat Breast Cancer? Radiation therapy is a type of treatment that uses high-energy rays or particles to eliminate cancer cells. It is a common form of treatment for breast cancer patients who have a large tumor that needs to be removed. In breast cancer treatments, providers use two types of radiation therapy: external beam radiation and internal radiation. Radiation therapy is recommended to reduce the risk of a cancer recurrence after a breast-conserving surgery, according to the American Cancer Society. Patients can also get radiation therapy after a mastectomy or if his or her cancer has spread. External beam radiation is a treatment therapists use to target specific cancerous areas. There are three types of accelerated breast irradiation ranging from hypofractionated radiation therapy, intraoperative radiation therapy (IORT), and 3D-conformal radiotherapy. Internal breast cancer radiation is a treatment that revolves around the use of a radioactive liquid that is inserted in the patient to kill cancer cells in specific areas. Also known as brachytherapy, this method of treatment can take up to seven days to complete. What Do You Do as a Radiation Oncologist and Therapist? As a radiation oncologist, you will be responsible for working with patients in treating their medical conditions. Radiation oncologists commonly focus on cancer patients. However, they also work with patients suffering from other medical conditions that require radiotherapy as a treatment. Radiation oncologists work with a variety of medical specialists such as surgeons and oncologists to help provide their patients with the best care that they deserve. If you are interested in technology and have a strategic brain, then consider becoming a radiation therapist. Contrary to radiation oncologists, radiation therapists utilize computer systems to help oncologists create the proper treatments for their patients. Radiation therapists utilize radiotherapy to help eliminate cancer cells (or other medical conditions) that need to be eliminated. Because you will work with medical equipment such as x-ray machines, it is important that you train in the necessary technology that you will use. Which Career Path Should I Take? If you want to work towards treating cancer and to learn more about this medical disease, then radiation oncology is your calling. However, if you have an interest in science and technology, then radiation therapy is the job for you. As a radiation therapist, you will be working with patients and oncologists, so having great communication skills is important. A successful radiation therapist is someone who has strong critical thinking skills as well as communication skills and a strong foundational background in science, math, and medicine, according to the Medical Technology Schools. These skills will aid you in working with both your patients and the equipment. Are you ready to play in the part against cancer? Become a radiation therapist today and help fight breast cancer with radiation therapy! therapy( http://www.advancedradiationcenters.com/cancers/breast-cancer/ ) usually involves treatment 5 days a week for 3-7 weeks. Acute side effects occur during the treatment phase and typically go away a few weeks after treatment is finished. They include fatigue, skin reactions, and side effects specific to the area being treated. The most common acute side effect of radiation therapy is fatigue, a sense of tiredness or general weakness.